Support Local Farmers - Now More Than Ever! Fruit growers in Michigan have had an extremely difficult year. A warmer than average winter, followed by an unusually hot March that caused fruit trees to burst into bloom too early, was followed by a series of cold events that froze most of those blooms, destroying or severely reducing the expected bounty of cherries, apples, and peaches throughout the state. Other fruit crops, vegetables, and field crops not under irrigation, suffered from intense heat and drought across the Midwest during the summer. If you've been wondering why produce has gone up in price at your local farmers market, the freakish weather has virtually everything to do with it. This YouTube video does a nice job of explaining what happened and why prices for fresh fruit may have gone up at your local farmers market this year. Please continue to support local farmers! Remember: No Farms = No Food! 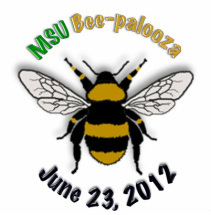 To help celebrate National Pollinator week, MSU’s Department of Entomology and the Horticultural Demonstration Gardens are hosting Bee-palooza 2012 on Saturday, June 23 from 1-4pm at the MSU Horticultural Demonstration Gardens. Check out event details here! 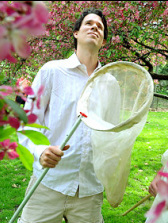 This event is designed for all who are interested in learning more about pollinators and what we can do to help them. Throughout the afternoon there will be a series of short educational demonstration sessions held every half hour starting at 1pm in various parts of the garden (pick up a map at the info booth at the entrance). 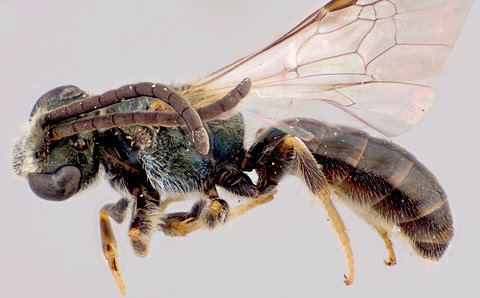 Attendees will learn about some of the many different species of native bees that live in Michigan, the important role of bees in food production, how to design your garden to attract and support pollinators, and how to build a native bee hotel. Especially for kids, a short self-guided pollinator scavenger hunt will be available between 1 and 4pm (pick up your first clue at the info booth to the gardens). This event is weather-dependent and will be cancelled in the event of rain. UPDATE (6/24/2012): Bee-Palooza 2012 was a success! The Lansing State Journal wrote a brief article about it here. Pictures from the event may be found on the event Facebook page here. If you missed it this time, we'll do it again next year!